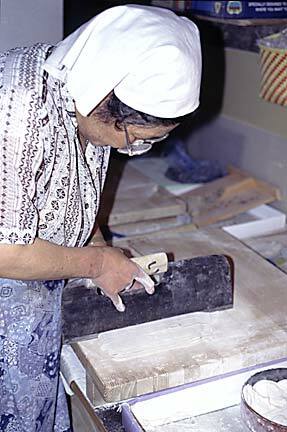 This woman is cutting handmade soba. I had heard that it was possible to see the soba making process at this restaurant. However, when I arrived they had already finished making soba for the day. Sensing my disappointment, they decided to make another batch. I sincerely appreciate that.